Hernia is defined as the protrusion, swelling or exit of an organ the body wall that normally contains it. The inguinal hernia occur when the protrusion occur through the inguinal canal (Onuigbo WIB, et al 2016). First is imperfection itself, known as the size and the location of the imperfection, another thing is the hernia sac (pouch) which contain abdominal contents such as omentum, small intestine, colon or bladder, or the sac may be empty (SD, Sharma VM, et al 2013). The inguinal hernia occur at the time when the tissues pushes though a weak area in the scrotum, this phenomenon result to rounded swelling which distort a flat surface of the scrotum(groin).this swelling may hurt or may burn sometimes. Inguinal hernia occur in the scrotum where there is the deposition of the fatty tissues or intestinal tissues pushes through the inguinal canal. The inguinal canal resides at its lower part, both males and females have the inguinal canal. In men, the testes usually are situated downward through this tubular duct shortly before birth. In women, the tubular duct is the location for the uterine ligament. If a hernia is in this area, it results in a protruding swelling that result into a painful during movement. Most of the inguinal hernia occur because an opening in the muscle wall do not close as it should be before birth, this result to a weak area in the front part of the human trunk muscles, Pressure on the weak area can result tissue to push through and swell out. A hernia can occur soon after birth or after some time in the life depending on the various factors that individual can be subjected with during the life time. People with more weight are facing more risk of get a hernia. Hernias are more common in men. A woman may get a hernia while she is pregnant because of the pressure on her belly wall. The main symptom of an inguinal hernia is the swelling in the groin or scrotum in case of men, the swelling feels like a compact mass with an irregular shape. This swelling may form over a period of weeks or months or it may appear all of a sudden after been lifting heavy weights, coughing, bending, straining, or laughing. The hernia can be painful, but some hernias makes a swelling with no pain. There are two main types of hernia, which are, direct hernia and indirect hernia. The direct inguinal hernia is most occurring one and it is usually occur in premature birth at the time before the inguinal canal is fully developed, also it might happen any time during the life time and it is most occurring in males. A direct inguinal hernia most often occurs in adults. The popular belief is that weakening muscles during adulthood lead to a direct inguinal hernia. According to the National Institute of Diabetes and Digestive and Kidney Diseases (NIDDK), this type of hernia is more prevalent in men. Inguinal hernias can also be incarcerated or strangulated. An incarcerated inguinal hernia happens when tissue becomes stuck in the groin and can’t go back. Strangulated versions are more serious medical conditions that restrict blood flow to the small intestine. Strangulated hernias are life-threatening and require emergency medical care. Hernias are among of the oldest recorded problem that cause illness in mankind and they are most seen in the groin or scrotum. (Onuigbo WIB, et al 2016). The first report of hernia was published in 1853 by Bowditch. The discovery of artificially insensitive to pain drugs or induced by the admistration by the gases before the surgical operation(anesthesia) and the development of drugs which prevent the disease causing microorganisms(antiseptic) methods in the mid of 19th century change fundamentally the practice of surgery. The development of these techniques including anesthesia techniques in the 1860s allowed more invasive methods to be used in the treatment of non-complicated inguinal hernias. The concluded method for the treatment of inguinal hernia is the surgical repair method regardless of its origin or its type (Onuigbo WIB, et al 2016). Henry O Marcy (1837-1924), a surgeon from the USA and a disciple of the English surgeon Joseph Lister, give a detailed account of two cases of incarcerated hernia that he treated surgically in 1871. Marcy, using Listerian antiseptic techniques, performed the standard operation of the day on these two patients: he divided the hernia ring “in the usual way with the hernial knife” and reduced the incarcerated hernia. Also Marcy went more and more extensive with the hernia technique then in vogue, Rather than open the hernia sac, he reduced it and repaired the defect by closing the “constricting ring” with carbolized catgut suture. Introduced by “Ger” in 1982 into the armamentarium of hernia repairs ,since its introduction it have undergone considerably changes and it has been are source of most prolonged dis agreements. With the appearing of long and distinct period of history of laparoscopic surgery, some surgeons had been suggested to apply this new technology (prosthetic material) on the laparoscopic hernias surgery because it (the laparoscopic surgery) fulfils all the primary and secondary points for the perfect hernia surgery. The very important point that is provided by laparoscopic surgery that it dealt with the hernia at the point of its origin exactly within the abdominal cavity at the level of the scrotum holes, and not at the inguinal canal, where the hernial sac follows its way. Laparoscopic inguinal hernia repair technique was initiated in early 1990’s and build on the originally championed by René Stoppa (open preperitoneal approaches). Also Ger in 1982 made effort to archive a minimal access groin hernia repair by closing the opening of an indirect inguinal hernial sac using Michel clips. In 1989, Bogojavlensky reported filling an indirect hernia defect with a plug of polypropylene mesh followed by laparoscopic suture closure of the internal ring. In 1990, Phillips and McKenna developed totally extra peritoneal (TEP) technique with or without peritoneoscopy. In 1991 Arregui give a detailed information about transabnormial preperitoneal (TAPP) approach with full exposure of the inguinal floor and placement of a large preperitoneal prosthesis. The advancement of the knowledge of human anatomy in inguinal region is vital importance in the surgical skills of the disease. Once the dissection is complete, a 15 Ã- 10 cm mesh is stapled in place over the myopectineal orifice(most common now days). In all of the rapairs the mesh is in physical contact fascia of the transversalis muscle in the preperitoneal space, allows tissue ingrowths leading to the fixation of the mesh (as opposed to being in contact to the peritoneum as in IPOM repair where it is prone to migrate). The two techniques (TAPP and TEP) proved more effective and emerged as the most popular. Although the incidence and prevalence of inguinal hernias worldwide is unknown, it is estimated, that in the United States, approximately about 4.5 million people have inguinal hernia while in Jerusalem, it was documented as 18 per 100 men aged 25 and over. Less is known about epidemiology of inguinal hernia in resource poor setting, according to the currently research it shows that in Tanzania the inguinal hernial prevalence in adults is 5.36% and approximately 12.09% of men live with hernia. While in Great Britain about 7000 repairs are performed each year, this indicate that about 0.14% of the whole population suffer from hernia (Onuigbo WIB, et al 2016). Inguinal hernia is common surgical problem in both developed and developing countries. Sometimes it can present a surgical misunderstanding even for the skilled surgeon when the swell contain unusual contents, surgery is the only way to deal with abnormal contents raised in the swelling (Onuigbo WIB, et al 2016). The surgery is the basic care for an individual’s suffer from inguinal hernia (groin hernia) which is most common problem. About 96% of all scrotal hernias are regarded as inguinal hernias and the remaining 4% are formal. Surgical practice of inguinal hernia is most common operations performed now days .inguinal hernia is the one of the most important problem in a public health, also another problem of hernia is that it can it can present a danger problem even for a skilled surgeon because many disease infection can be regarded as hernia (Onuigbo WIB, et al 2016). Inguinal hernia is disease that affect most people in a coastal area (case study Tanga) that cause the inflammation and pain full in the testes (scrotum), according to the previously research shows less has been done to prevent the spread of the disease and to improve the awareness of individuals towards the disease also he improvement of medication and repair system has to be improved. Question. What is an inguinal hernia? Question. What causes an inguinal hernia? Question. What are the symptoms of an inguinal hernia? Question. Why do most of people suffer from the disease do not get treatments? Question; is the treatment for the disease enough to fight the disease? Question; Do you understand how the disease is transmitted? 7. Question; Do you know what organism transmit the disease? At the end of this research the community awareness towards the disease will increase hence the prevention measures will increase and the number of individuals who are at risk of being infected will be reduced. 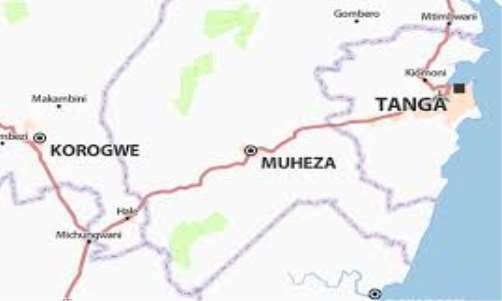 Data in this research shall be collected using research questionnaires that will be provided to the individual’s member of community and answer the provided questions concerning with the inguinal hernia, case study Muheza Tanga coast land. All in all the research that will be conducted aim to improve the community awareness towards the disease among the individuals member of the community in Muheza influence the government and individuals to take the concern towards the disease and also to improve the community ability to fight against the disease. Debas HT, Donkor P, Gawande A, et al. 2015 Essential Surgery: Disease Control Priorities, Third Edition (Volume 1). editors, Washington (DC) The International Bank for Reconstruction and Development / The World Bank; Apr 2. Venditti D, Rossi P, Lisi G, et al 2015. Anew prosthesis in inguinal hernia repair: results of a pilot study. Surgery Res Open 2(2): 66-71. "Prevelence of Inguinal Hernia in Men Caused by Mosquito." UKEssays.com. 11 2018. All Answers Ltd. 04 2019 <https://www.ukessays.com/essays/biology/prevelence-inguinal-hernia-caused-8702.php?vref=1>. "Prevelence of Inguinal Hernia in Men Caused by Mosquito." All Answers Ltd. ukessays.com, November 2018. Web. 23 April 2019. <https://www.ukessays.com/essays/biology/prevelence-inguinal-hernia-caused-8702.php?vref=1>. UKEssays. November 2018. Prevelence of Inguinal Hernia in Men Caused by Mosquito. [online]. Available from: https://www.ukessays.com/essays/biology/prevelence-inguinal-hernia-caused-8702.php?vref=1 [Accessed 23 April 2019]. UKEssays. Prevelence of Inguinal Hernia in Men Caused by Mosquito [Internet]. November 2018. [Accessed 23 April 2019]; Available from: https://www.ukessays.com/essays/biology/prevelence-inguinal-hernia-caused-8702.php?vref=1.